Founded in 1982, the Cambridge Centre for Languages is a well-established school based in the heart of historic Cambridge, UK. We are a British Council accredited school and a member of English UK. We offer high-quality English language courses for students from all over the world including tailor-made courses for juniors and adults, and one-to-one study programmes throughout the year. 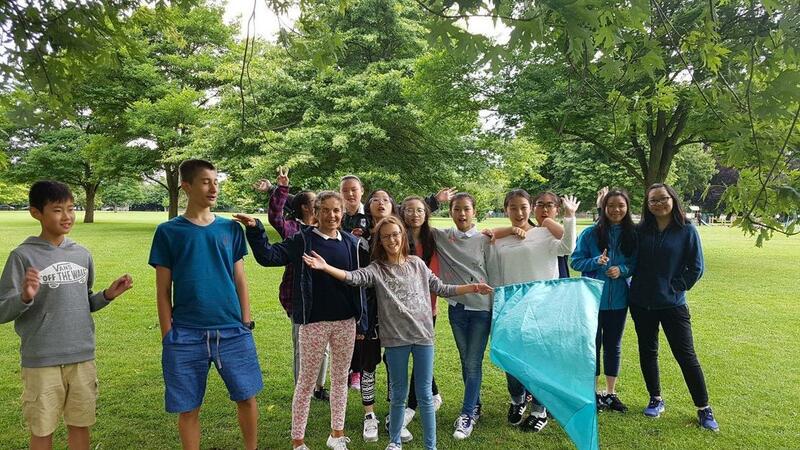 Accommodation can be residential (junior summer course) or students can stay with carefully selected local host families, which enhances their experience while studying with us in Cambridge. Flexible courses for small groups. We organise bespoke learning programmes for adults based on the clients` learning needs, including English for Specific Purposes (e.g. English for Engineering), tailor-made Business English programmes, English for specific work skills (e.g. making presentations, participating in meetings, emailing etc.) and exam preparation (IELTS, Cambridge ESOL and Trinity Examinations). You can choose the length and design of course which best fits your needs – we can build a unique course to suit your purposes. Tailor-made English language courses with or without social programme/excursions taking place any time during the year are designed upon request. Course fees are variable depending on the number of the group participants and special requests made. On these courses host family or hotel accommodation can be provided. Please contact us and tell us what you need – we can design the perfect course for you! A valid educational experience – all lessons, activities and visits have a purpose as well as being enjoyable. UK teenagers act as Teaching Assistants enabling students to meet with local young people of a similar age. Students are tested before being placed in classes with students of similar language level. Placement is kept under review, ensuring that each student is in the most appropriate group. Suitable course books are used for each level, together with specially selected materials relevant to the age and interests of the students. The language requirement of excursions is introduced and followed up in the classroom. Attendance Certificate and School Report are provided for all students on course completion. Students are tested before being placed in classes wi th students of similar language level. Placement is kept under review, ensuring that each student is in the most appropriate group.